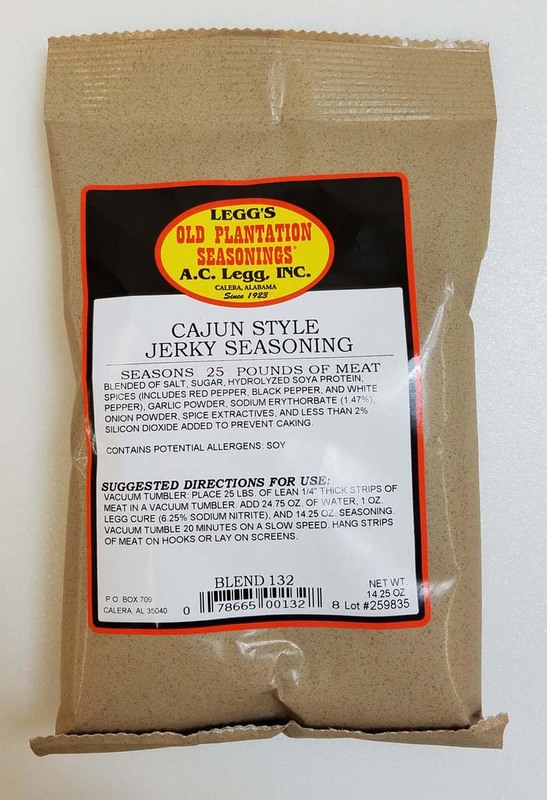 Our best selling jerky seasoning from Leggs Old Plantation Seasonings. 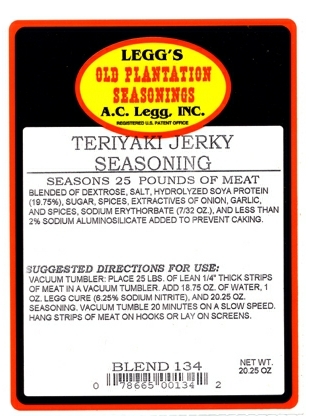 Traditional jerky seasoning blend #131 is an excellent blend of spices that enhances the natural flavor of the meat. One bag of seasoning is enough for 25 pounds of raw sliced jerky meat. 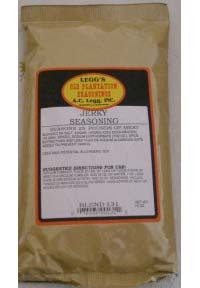 Use with beef, venison, elk, or turkey to make whole muscle or restructured jerky. Suggested directions for use printed on the label. Can be used in a vacuum tumble, as a soak, marinade, or a dry rub. 13 ounce package. 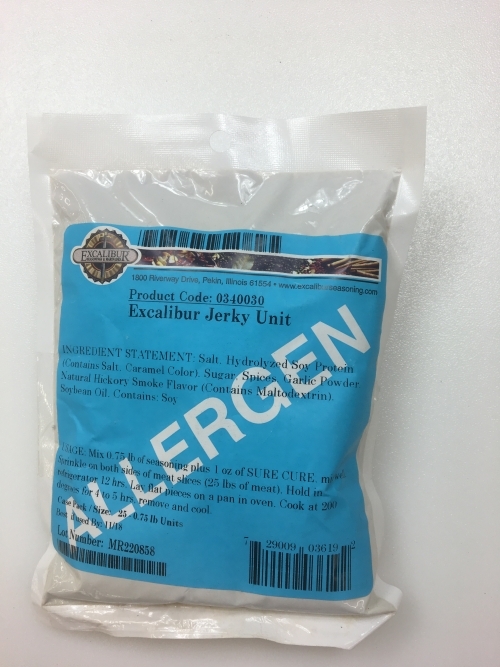 Package does not include the sodium nitrite cure. 2/1/2010 – Hi. I make less that 25 pound batches of jerky. 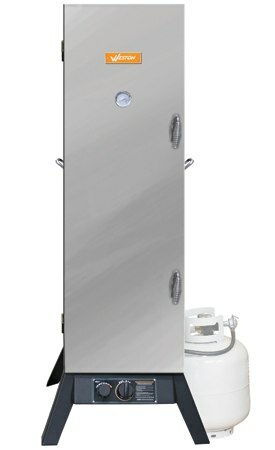 Are the proper amounts of seasoning to use for lesser size batches included . 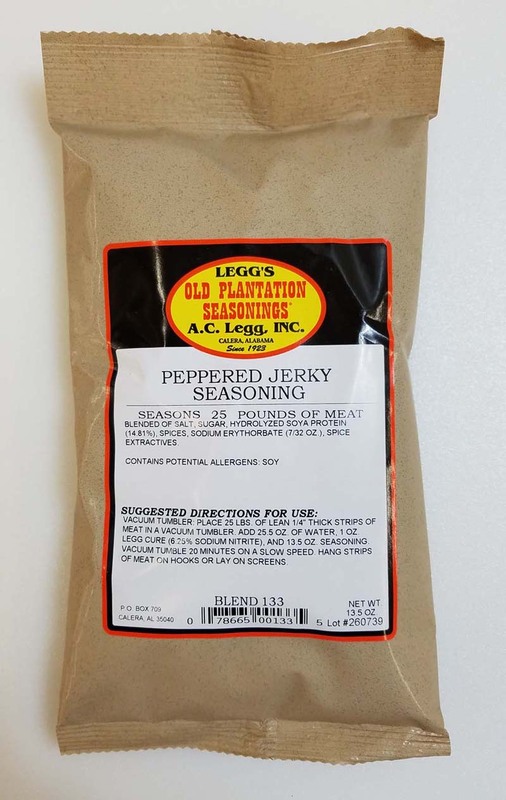 . .
1/7/2010 – how would you mix this jerky mix to use with ground meat?